The MSCL is aware of all of the games which have been cancelled due to weather conditions during the 2019 season. We will do our best to make sure that these games are made up, but due to the amount of field space we may not be able to make up all cancelled games. If you feel that your team has been unfortunate due to these cancellations, please email the league @ mscoachesleague@gmail.com and we will follow up with your team as soon as possible regarding make up games. We apologize for any inconvenience this may cause, but the league will make sure your team's schedule is handled correctly in order to properly seed each team in all divisions for our end of the year tournament. 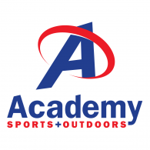 Academy Sports & Outdoors will the primary sponsor for the 2019 Middle School Coaches League Spring Baseball season. As a part of our partnership with Academy, they are offering all 2019 MSCL participants a special 20% OFF, which will be determined by March 4th. Flyer will be available on site, as well as at any MSCL event. The MSCL is designed to prepare middle school baseball players for high school baseball in an environment that is competitive to their skill level. The MSCL is a Memphis-Metro based organization which has been designed to help middle school athletes grow and communicate with their future high school coaches and teammates. The MSCL Squad Locker is a place to get premium MSCL Gear to support the league, while also having the capabilities of customizing your owns team logo into the gear, which can be ordered through the side above. The English Garden has been hand-delivering premium floral arrangements and gift baskets to help strengthen relationships, give love and support, and celebrate life’s special moments since 2011. The English Garden provides what other florist are not able to provide, which is FREE Same Day Delivery in the Germantown, TN area. The English Garden Florist is dedicated to helping you find the perfect flowers to deliver your message and enhance your special occasion. Our stunning arrangements will allow nature’s beauty to inspire your special moment, and because we are a local florist dedicated to your satisfaction, you can always expect your needs to be treated with all the attention to detail they deserve. Choosing our Florist Choice Bouquet gives your gift a personal touch which will be looked after 100% accuracy. Once we have expertly handcrafted your order, we will ensure it arrives at its destination on time, hand-delivered. Impress your friends, family, and loved ones with a heartfelt gift from The English Garden. See Below for all Information on Baseball Indoor Improvement Facilities if you are interested in Personal Lessons or a place to rent a Cage during bad weather. Youth Baseball Complex - Complex for 75% of all MSCL Games. Provide Fields for Team Practice at a Per Hour Rate. Provide One on One baseball lessons in all aspects of the game (i.e.Pitching, Catching, Batting,etc). Provide Batting Cages based on a Per Hour Rate. Provide Batting Cages & Fielding Area based on a Per Hour Rate. Proud Home of the Dulins Dodgers Competitive Baseball Organization. How do we improve on protecting youth pitching arms? ©2019 Middle School Coaches League / SportsEngine. All Rights Reserved.